Challa (registered name is Clint) is the brother of another extraordinary CPI dog named, Cato. They are sons of a famous dog named Uri who has gone to the world championship twice and is one of our favorite stud dogs in all of Europe. As an Uri son we expected strong drive. What Challa has turned into is nothing short of a "beast" when it comes to protection. When "turned on" he sounds and looks like he will explode if he doesn't get to bite. It's something unique to Challa and clearly a very convincing deterrent. Challa was raised around other dogs and cats. His favorite person in the world was a young girl who would use Challa as her pillow. 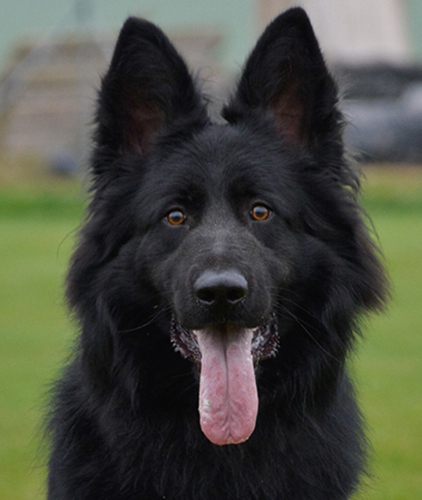 He also led a very active life both in public as well as on the training field daily since he was 8 weeks old. 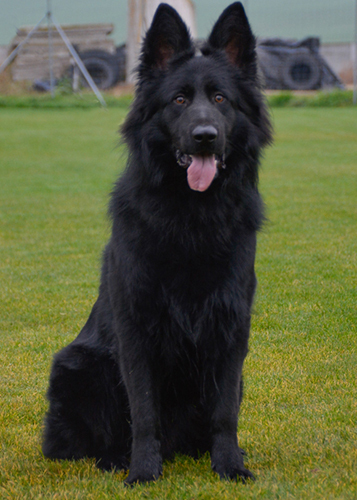 Challa is one of the most extreme German Shepherds we have had go through our elite program this year. His bear-like appearance, near shedless coat and extraordinary ability makes Challa unmatched and unequalled. If risk is not an option, and you want one-of-a-kind, Challa is the dog for you. There are camera's everywhere and everyone has a smart phone. If you are going to use your dog to protect yourself there is a fairly good chance that the altercation will be recorded. The question is what will they see? Probably not the threat. In all likelihood your aggressive dog and the perpetrator backing up! You may actually look like the aggressor. For that reason we are now teaching a strategic command to address the issue. We chose Challa as our first dog to teach it to. 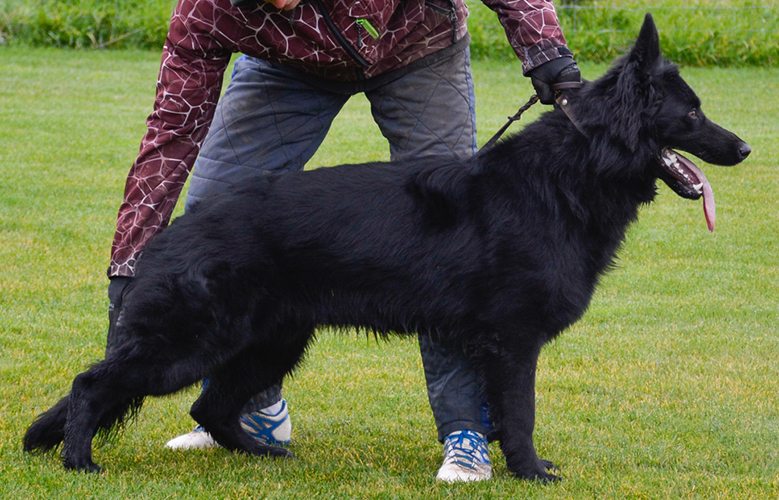 The strategic command "Police" is used to instruct Challa to come to his handler's side, "turn on" and remain by her side off-leash regardless of whether she moves backwards, forward or sideways. As the handler moves she repeats "call the police, I'm afraid for my life, call the police" in order to clearly communicate she is the victim. In case you feel threatened, but haven't been threatened, we have taught Challa the covert command "knock it off". It appears you are reprimanding your dog for being aggressive where in reality that phrase is actually instructing him to turn on. You simply apologize for your overly aggressive dog that you can't control. Of course then suggest the person back up slowly and move away. Challa is pretty convincing at playing the "out of control" dog.